When you purchase an area rug for your home, you probably want it to last for years. You certainly don’t want to have to spend a lot of money on replacing the rug if you can help it, right? Ruthie with Arizona Oriental and today I wanted to take a moment to talk about something that will end up ruining your area rugs – neglecting them! When was the last time you had your area rug professionally cleaned? When was the last time you ran a vacuum over it? Or is there damage (like a hole or tear) that could really use some repairs? Rugs live hard lives on our floors and just ignoring them without any kind of maintenance does a lot more damage than most people think! Dry soil builds up at the base of our rugs without frequent vacuuming. This dry soil acts like sandpaper and grinds away at the delicate wool and silk fibers, causing fiber to break off and wear patterns to form. Eventually these fibers will wear away completely and you’ll be left with a threadbare rug! Animal urine needs to be addressed right away or it will lead to dry rot. Dry rot weakens rug fibers, and can lead to rips, cuts, tears, and holes in your precious area rugs. Animal urine should ALWAYS be treated as quickly as possible to prevent serious damage. Urine has a high level of acidity, so it does a lot of damage to the fibers. Not only will it cause dry rot, but it can also destabilize colors and lead to heavy color bleeding and discoloration that may not be correctable. Keep in mind that ignoring repair needs will only cause the damage (be it sidecord damage or a hole) to get worse over time! Maybe the fringe got caught in the vacuum and the rug has started unravelling. Or perhaps your puppy decided that your rug would be better used as a chew toy and he chews a hole right through the rug. Whatever caused the damage, it’s REALLY important to have it repaired as soon as possible to prevent further damages! The longer you wait to have damages in your rug repaired, the more unravelling will happen - this means more extensive (and expensive!) repairs will be needed to secure or restore your rug. If you want your area rug to last for years and years (like it’s supposed to), then you need to take care of it! Rugs should be professionally cleaned every 1-3 years and repairs should always be taken care of as soon as possible. 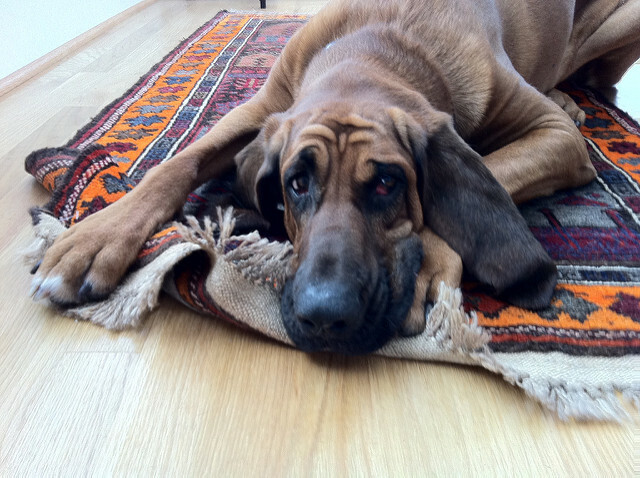 If your animals are having accidents on your rugs, those need to be cleaned and treated as soon as possible as well! Arizona Oriental & Specialty Rug care specializes in the proper care for all types of area rugs. From Persian, Oriental, Navajo, wool, silk, to synthetic – you name it! Don’t let your area rug go neglected without the proper care for years! Top 3 Things That Can Ruin Your Area Rugs!